Intel is going to release the Bay Trail-T chips on September 11 at its developer forum in San Francisco. The Atom family will receive four new members - the Z3770, Z3770D, Z3740 and Z3740D. 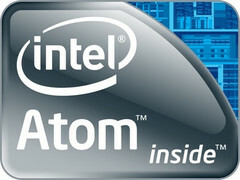 Intel Atom has been around for a while and, in case you bought the rumors saying that Intel wants to scrap this brand, you have to take a closer look at its developer forum in San Francisco. This event will take place between 10 and 12 September, the release of the Bay Trail-T chip being expected on the 11th. According to VR-Zone, the Intel Atom family will be joined by four quad-core models, namely the Z3770, Z3770D, Z3740 and Z3740D. All are 22 nm chips and feature 2 MB of level 2 cache, but there are also a few differences between them. The Z3770 is a processor that runs at speeds up to 2.4 GHz and supports up to 4 GB of dual channel LPDDR3 1067 memory which offers a bandwidth of 17.1 GB/s. The Z3770D has the same clock speed, but only supports 2 GB of single channel DDR3L-RS 1333 memory, the bandwidth available falling to only 10.6 GB/s. The Z3740 can clock as high as 1.8 GHz and supports up to 4 GB of dual channel LPDDR3 1067, while the Z3740D has the same clock speed, but only supports 2 GB of single channel DDR3L-RS 1333 memory. All these new members of the Intel Atom family will feature Intel HD graphics IGPs. The minimum resolution supported is 1333X768 pixels, but the maximum depends on the chip. The "D" processors will support 2560X1600 pixels, while the "regular" ones will only go up to 1920X1200. We expect to hear more on these mobile processors in the very near future.